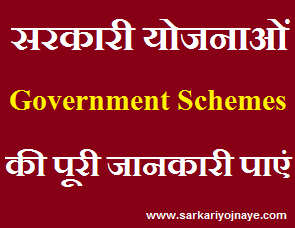 Joint Entrance Examination Council (Sanyukt Pravesh Pariksha Parishad, U.P.) has been established to conduct entrance examination for candidates of Diploma courses in the Polytechnics / Institutes affiliated to Board Of Technical Education, U.P. Admission criteria to Diploma/Post Diploma/ Post Graduate Diploma in Engineering, Technology and Management Programs in Polytechnic Institutions affiliated to Board of Technical Education and others shall include the performance in the Joint Entrance Examination, UPJEE (POLYTECHNIC) – 2018. JEECUP Syllabus 2018 (UP Polytechnic Syllabus 2018) will be based on the topics & chapters of the 10th/11th/12th standard. 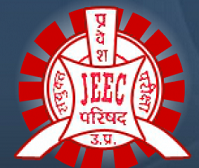 In this Article, we will provide you all details regarding JEECUP 2018 Syllabus for Group A, Group B, Group C, Group D, Group E, Group F, Group G, Group H, Group I, Group K. Details of Exam Pattern for UPJEE 2018 is also provided here………..
JEECUP 2019 Exam Pattern : Students can check UP Polytechnic Entrance Exam Pattern 2019 to start their studies & prepare well to get good rank in exam. Candidates can also check question percentage in exam. Exam will conduct under Offline Mode (Pen & Paper Mode). There can be No Negative Marking in Exam. Physics : Measurement, Motion in one dimension, Laws of Motion, Motion in two dimensions, Work, Power and Energy, Linear Momentum and collisions, Rotation of a rigid body about a fixed axis, Gravitation, Oscillatory motion, Mechanics of solids and fluids, Heat and thermodynamics, Wave, Electrostatics, Current Electricity, Magnetic Effect of Current, Magnetism in Matter, Electromagnetic induction, Ray Optics and optical instruments, Wave Optics, Modern Physics. Chemistry : Atomic Structure, Chemical Bonding, Redox Reactions, Chemical Equilibrium and Kinetics, Acid – Base Concepts, Electro-chemistry, Catalysis, Colloids, Colligative Properties of Solution, Periodic Table, Preparation and Properties, Thermo chemistry, General Organic Chemistry, Isomerism, IUPAC, Polymers, Carbohydrates, Solid State. Zoology : Origin of Life, Organic Evolution, Mechanism of Organic Evolution, Human Genetics and Eugenics, Applied Biology, Mammalian Anatomy (Eg. Rabbit), Animal Physiology, Detailed studies of Protozoa, Porifera, Coelenterate, Aschelminthes, Annelida and Arthropod. Botany : Plant Cell, Protoplasm, Ecology, Ecosystem, Genetics, Seeds in angiospermic plants, Fruits, Cell differentiation, Plant Tissue, Anatomy of Root, stem and leaf, Important phylums, Soil, Photosynthesis. symbolic Operations, Trends, Space Orientation, Space Visualization. General Awareness:- Questions in this component will be aimed at testing the candidates’ general awareness of the environment around him and its application to society. Questions will also be designed to test knowledge of current events and of such matters of every day observations and experience in their scientific aspect as may be expected of any educated person. The test will include questions relating to India and its neighboring countries especially pertaining to History, Culture, Geography, Economic Scene, General Polity, Indian Constitution, scientific Research etc. Numerical Aptitude :- The questions will be designed to test the ability of appropriate use of numbers and number sense of the candidate. The scope of the test will be computation of whole numbers, decimals, fractions and relationships between numbers, Percentage, Ratio and Proportion, Square roots, Averages, Interest, Profit & Loss, Discount, Partnership Business, Mixture and Allegation, Time and distance, Time & work, Basic algebraic identities of School Algebra and Elementary surds, Graphs of Linear Equations, Triangle and its various kinds of centres, Congruence and similarity of triangles, Circle and its chords, tangents, angles subtended by chords of a circle, common tangents to two or more circles, Triangle, Quadrilaterals, Regular Polygons, Circle, Right Prism, Right Circular Cone, Right Circular Cylinder, Sphere, Hemispheres, Rectangular Parallelepiped, Regular Right Pyramid with triangular or square base, Trigonometric ratio, Degree and Radian Measures, Standard Identities, Complementary angles, Heights and Distances, Histogram, Frequency polygon, Bar diagram & Pie chart. English Comprehension:- Candidates’ ability to understand correct English, his basic comprehension and writing ability, etc. would be tested.